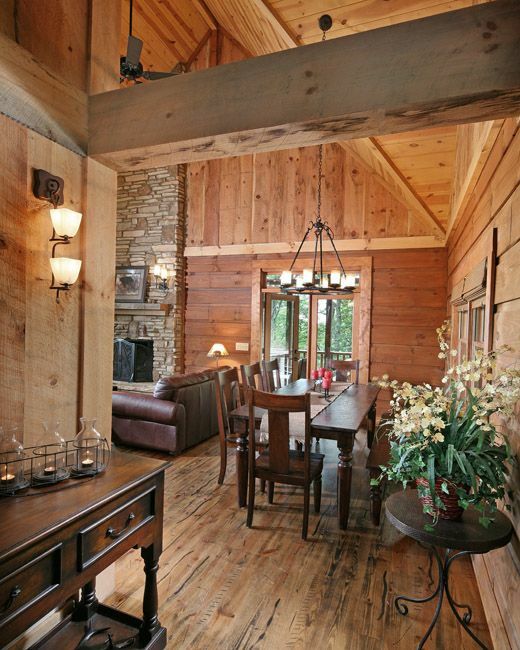 Situated at the heart of the beautiful wilderness is this gorgeous all-American Timber cabin built by the brilliant people of Jim Barna Log & Timber Homes. This nature-inspired home is perfect for individuals and small families that want to flee from the noise and air pollution that the city brings. 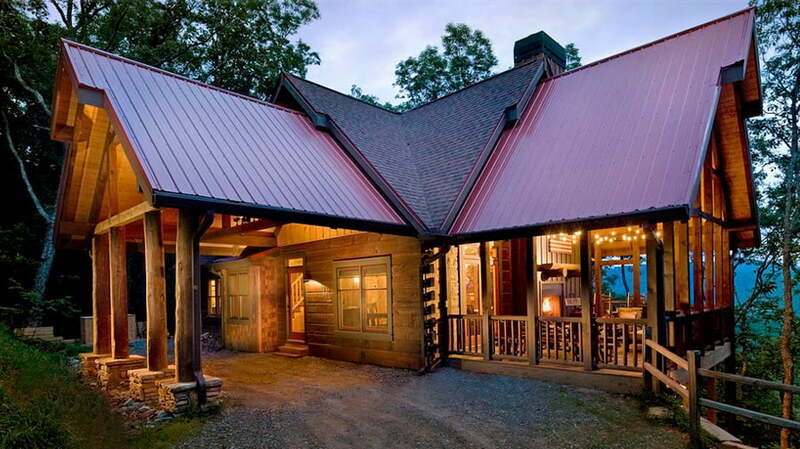 The facade of this one-of-a-kind house combines soft natural elements such as wooden paneled walls, tree trunk columns, wooden frames and posts, and stone foundations with the slightly modern texture and brightness of the bold red tin roof. This humble albeit amazing abode has two floors– the main level, which is exposed to the beauty of the outdoors overlooking the many trees of the forest, and an upper level. Despite having a mere 1,717 square feet of living space, this house is generous in details and fixtures that exude class and materials that embody the charm of the outdoors. 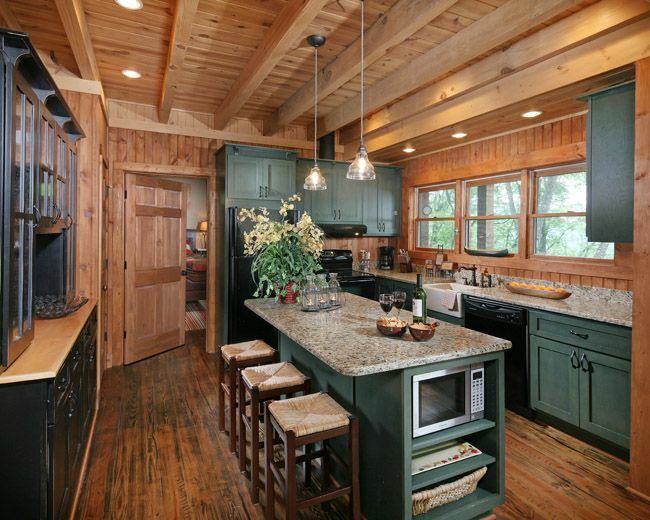 Its rustic, almost nostalgic interiors give off a certain allure that most home seekers will definitely love. 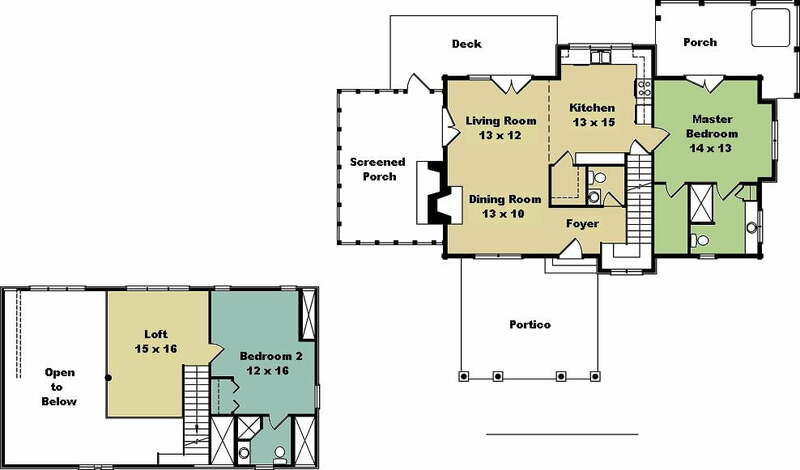 There are two spacious bedrooms in this house: a master bedroom on the main floor and a smaller one on the upper level, which also has a loft that is open to the main level living space. 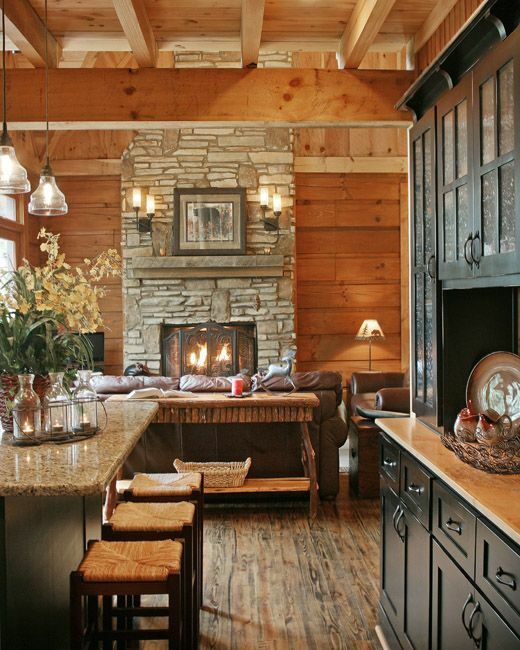 What adds greatly to the charm of this house is its screened porch and stone-laden fireplace. 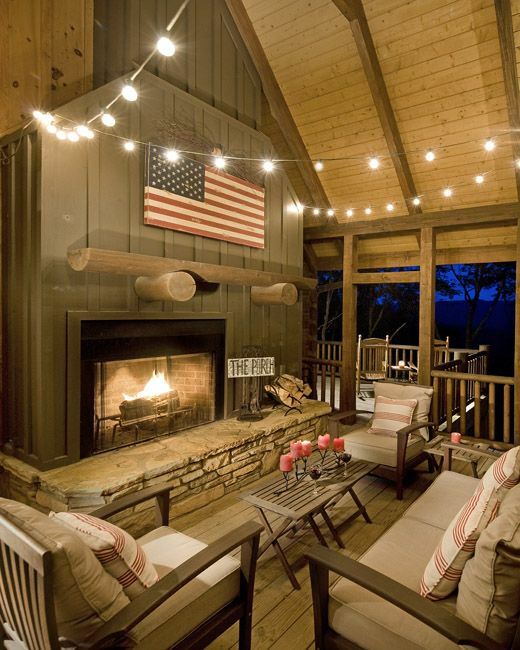 There’s nothing better than a warm, homey area to receive guests outdoors. 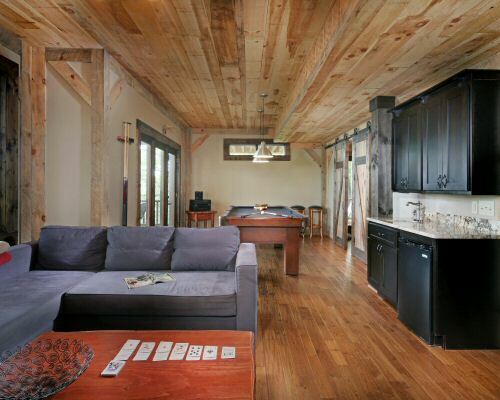 Imagine the fun your entire family and guests will experience, getting together at a place like that! Stats: Total Living 1,717 SQFT.